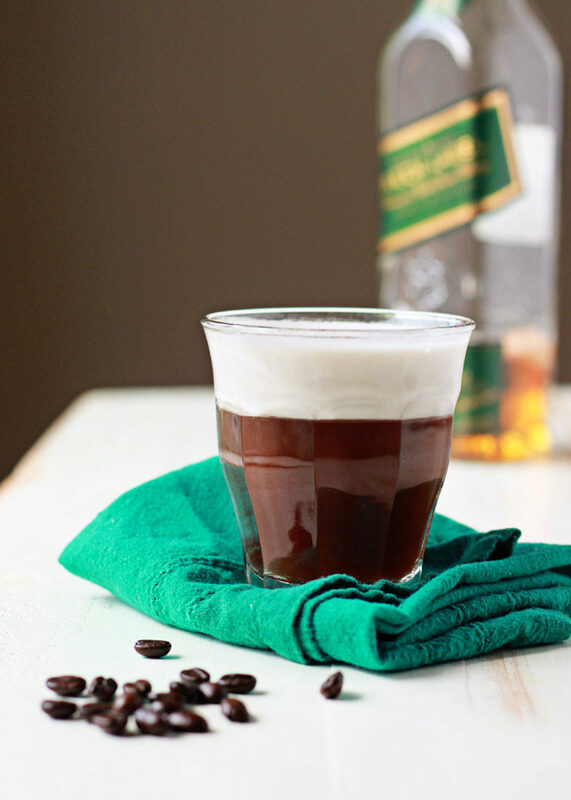 Fluffy coconut whipped cream floats atop whiskey-spiked coffee for this dairy-free riff on the belly-warming classic. Perfect St. Patrick’s Day cocktail! I’m an amalgamation of about a gazillion different heritages – Norwegian, German … tarheel … I don’t even really know. So every time I post something culturally specific, I feel like a bit of a phony. So I’ll just start off by saying this is, no doubt, quite far from actual real authentic Irish coffee. I suppose the “vegan” in the title could also have tipped you off to that. And the Scotch whiskey instead of Irish whiskey could possibly be downright criminal. I don’t even know. Disclaimer, disclaimer, disclaimer. What can I claim to know, without a doubt? 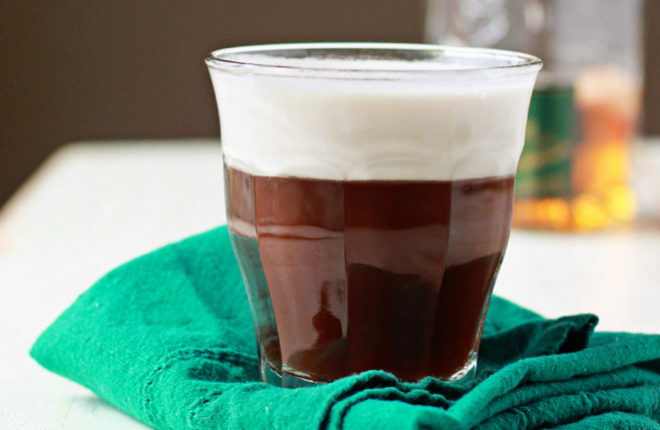 This dairy-free Irish coffee recipe is super, duper, awesomely tasty. 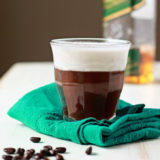 Irish coffee (to the best of my knowledge!) 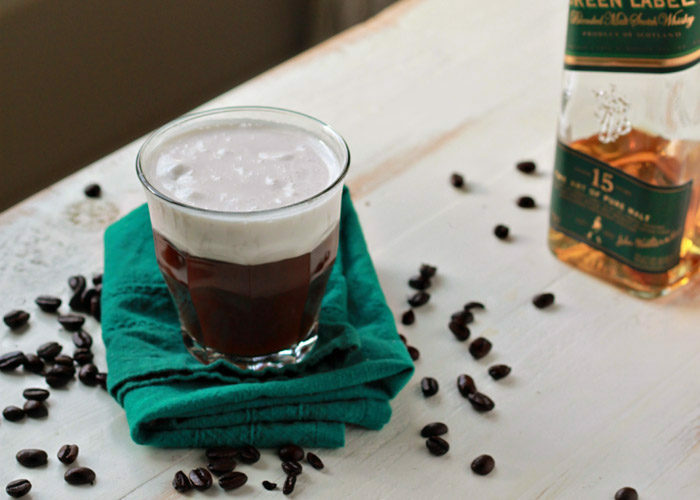 is a simple drink made with hot coffee, whiskey, and a little bit of sugar if you wish. Then. Then! The best part: a big awesome layer of sweetened whipped cream floating on the top. You sip your spiked coffee through the cream, acquiring a bit with each drink of coffee. Good stuff. Warming stuff. Comforting stuff. Delicious stuff. 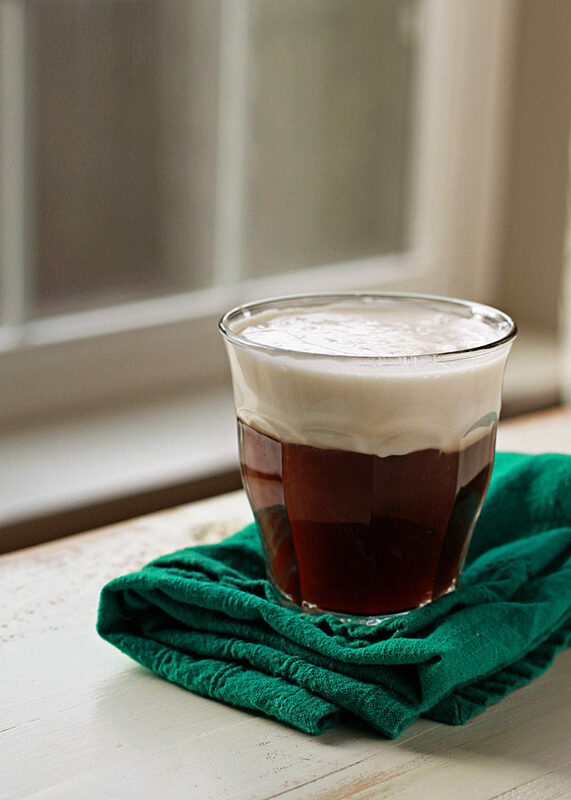 This dairy-free version simply substitutes the dairy-based whipped cream with coconut whipped cream, which really is a perfect topper for Irish coffee. It floats on top like a dream – and, bonus, coconut + coffee already go together like whoa (coconut milk is, incidentally, one of my favorite alternate coffee creamers). So, is this authentic? Probably not. But is it awesome? Well, I think so! Spoon the white, solid layer off of the top of the can of coconut milk and place it in the bowl of a stand mixer affixed with the whisk attachment or in a medium bowl so you can use a hand mixer. Beat at medium speed until it forms stiff peaks, 2-3 minutes. Add syrup, vanilla, and pinch salt. For an in depth tutorial, head on over to Oh My Veggies! Pour the coffee, whiskey, and sugar, if using, into a mug or heatproof glass. Stir to combine (if adding sugar, take care to stir until dissolved). Spoon coconut whipped cream over the top. Serve.